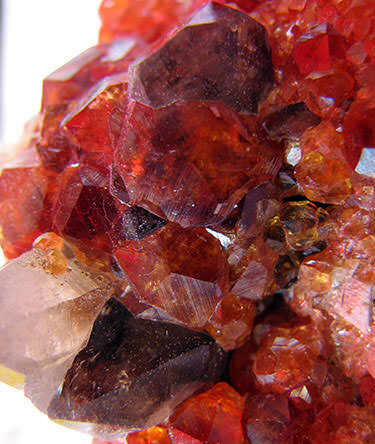 What Are Gemstones, Can All Minerals Be Gemstones? Even this definition fails to encompass every use of the word, though. You might for example walk into a jewelry store and see pearls referred to as gemstones. Pearls aren’t stones! Despite this, the common usage encompasses them. First though, let’s talk about minerals. A “mineral” is simply a solid inorganic substance that occurs in nature. There are a few more detailed requirements as well. A mineral must be stable at room temperature, and you must be able to represent it using a consistent chemical formula. Generally they must be abiogenic, which means they are not the result of the activity of biological organisms. Their atoms must be arranged in an orderly way. Even these constraints are regularly debated by scientists however! There are numerous examples of minerals which can be cut and polished to create gemstones. One of the most common examples is quartz. Quartz is in fact the second most common mineral found in the crust of the Earth, following feldspar. Quartz has a chemical formula of SiO4, and comes in numerous beautiful varieties which are popular in jewelry. Some of these include amethyst, citrine, rose quartz, and smoky quartz. Feldspar, the most common mineral found in the Earth’s crust, also sometimes is used for jewelry! Most species of feldspar are not, but one species is: labradorite. Labradorite has a beautiful, iridescent sheen which is quite unique, and which makes it a very lovely choice for jewelry. Other minerals commonly used to make jewelry include garnet, jade (either jadeite or nephrite), malachite, corundum (sapphire, ruby), diamond, and more. If you look up a list of minerals however, you will see hundreds of minerals which typically are not used to make jewelry, and which are rarely or never cut or polished. Why are so many minerals so rarely (or never) used as gemstones? Realistically, it is just not going to happen when a gemstone imposes too many difficulties, or does not offer a large reward. Some minerals are just too soft, and will flake apart or crumble far too easily, while others like zeolite are just too fragile. Others are too small (certain platinum group crystals are a great example). Still others pose health hazards, like asbestos or mercury. And most simply fail to display any of the traits which people tend to look for in gemstones, like clarity, beautiful colors, shine and sparkle, and so on. Another excellent example of a mineral you will never see made into jewelry is ice! Yes, ice is classified as a mineral! But you certainly will not use it in a necklace (not for long at least). 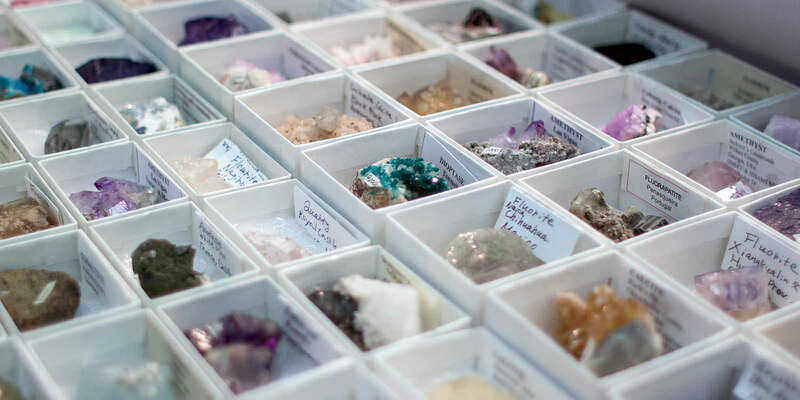 So now you know why certain minerals are commonly considered to be gemstones, while other minerals (most of them, actually) are not. Most minerals are seldom or never cut and polished to be worn. But what about other substances like pearls, which clearly are not minerals or even stones, but which are called gemstones nonetheless? A mineraloid is a substance which fails to meet one or more of the specifications for mineral classification. It may be composed of organic substances, be the result of biological activity, or contain water or other compounds. Some examples of mineraloids used in jewelry include pearls, jet, amber, opal, and obsidian. Pearls are made by oysters, which means they obviously are not minerals. Obsidian is a form of glass. Jet is a form of densely compacted coal derived from decaying wood. Interestingly enough, even petrified wood is a rock, because minerals have replaced all the organic matter—which makes jet more of a wood than petrified wood, despite not having the word “wood” in the name. 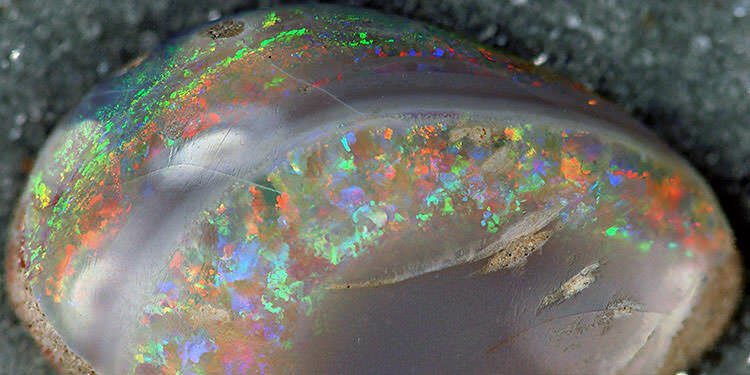 Amber is hardened tree resin, and opal contains water. Despite the fact that all of these fall outside the umbrella of minerals or even stones in the traditional sense, they are regularly used for jewelry. Most of them can be cut and polished. Even though pearls are used as they are, they still count as well by most peoples’ definitions. So are all minerals gemstones? No, because not all minerals can or ever would be cut and polished to be worn as jewelry. Are all gemstones minerals? No, because some gemstones are actually mineraloids. A gemstone does not even necessarily need to be a stone. It does not necessarily have to be cut and polished either, otherwise you could not find “rough gemstones” for sale. In the end it mostly boils down to this: If it is beautiful and it can be worn as jewelry, it is a gemstone!